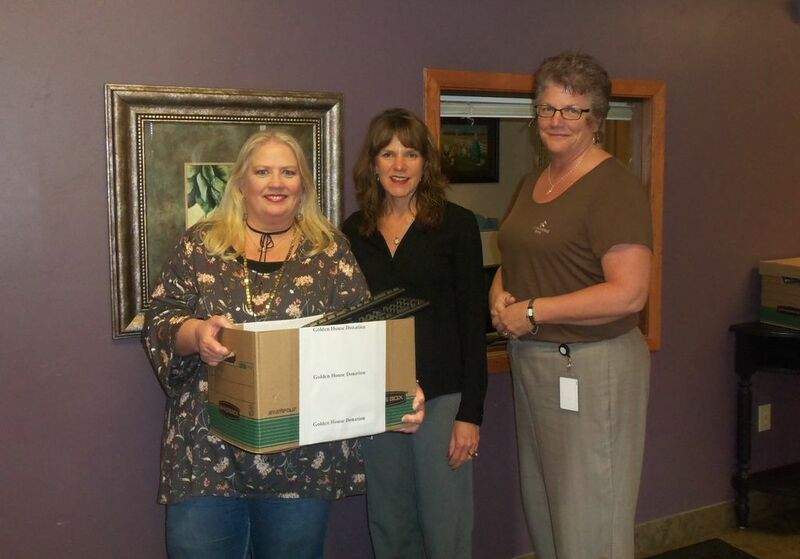 Debra Seidl, operations manager of Golden House, accepts a technology donation from Associated Bank’s Angie DeWitt and Annette Gleichner, senior field engineer. In April, Associated Bank assisted Golden House, a nonprofit organization that provides shelter and support services to victims of domestic violence and abuse, by providing several key organizational needs that will help Golden House better serve their clients. Associated Bank donated two desktop computers and two laptops to Golden House for their resource room, a quiet space where clients can study, take online courses, search for a new job or find a new, safe home for their family. As part of the donation, several Operations & Technology colleagues volunteered their time, outside of work, to wipe the computer’s hard drives and prepare them for use. These services were provided free of charge, saving the organization several hundred dollars in preparation fees, in addition to the equipment cost. Stan Kroll, business development officer - bank at work, and Matt Laubenstein, senior bank manager, recently conducted a financial education session with Golden House staff on the topics of understanding credit and preventing identity theft. The helpful tips the staff learned will be shared with Golden House clients as part of the support services they provide. Kroll and Laubenstein plan to meet with Golden House staff throughout the year to continue discussions around financial education topics. Each spring, Golden House hosts a phone-a-thon as a way to connect with donors, share how it’s making a difference in the lives of its clients, and raise money for their cause. For this year’s event, Associated Bank offered space at its Green Bay Service Center, which took place on April 23. More than $6,000 was raised in just two hours in continued support of Golden House services in our community.